Growing up, New Hampshire always seemed so far away, the place to go to every once in awhile for summer camping vacations and the occasional road trip. Who knew I’d eventually be regularly heading there to shoot weddings! 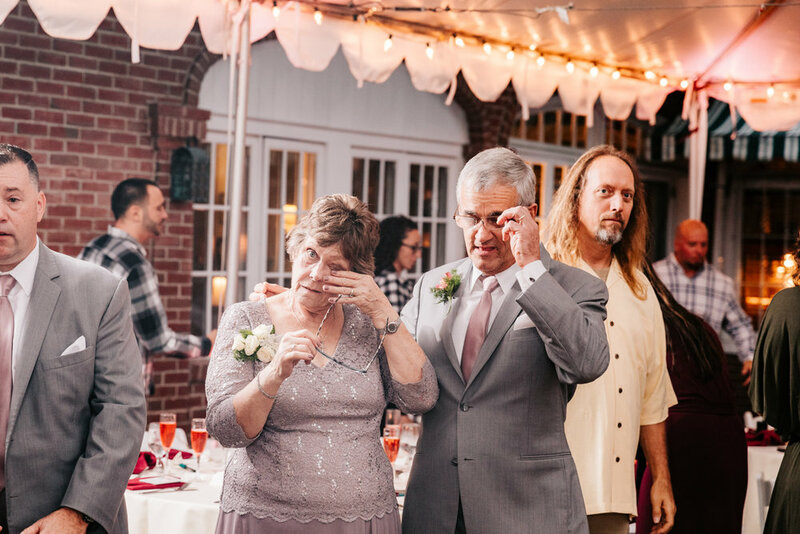 This wedding took place on the most gorgeous day in September, at the charming Governor’s Inn, located in Rochester, New Hampshire. 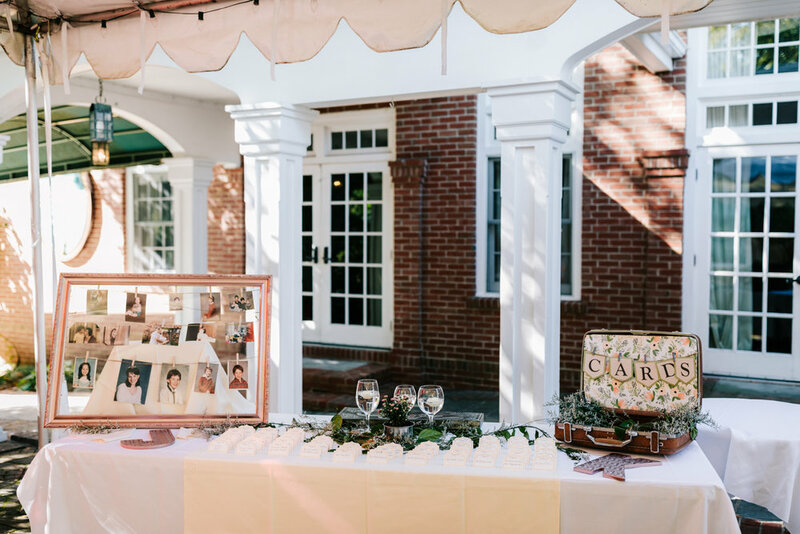 Vintage decorations sprinkled with baby’s breath and greenery set the mood for the day and complimented the atmosphere of Governor’s Inn perfectly. The day started with a burst of loving, cheerful energy that swelled further as the day went on. 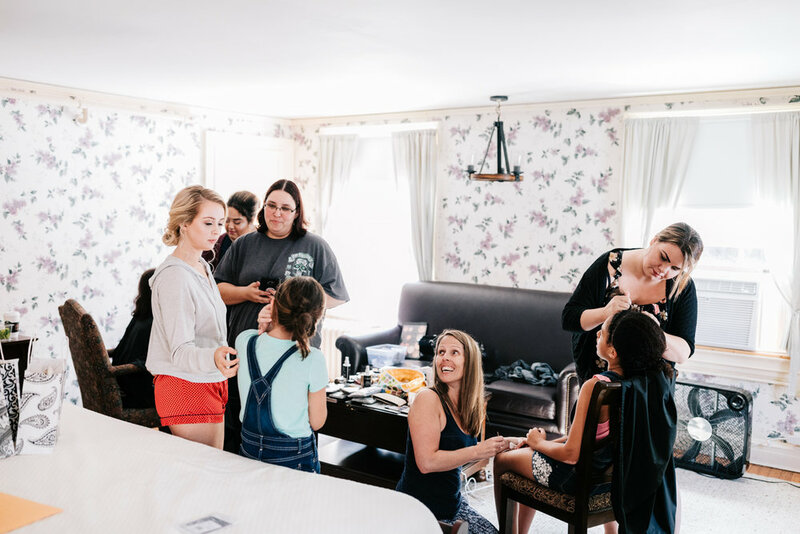 The girls chatted happily while getting hair and makeup done by the amazing Colby at Tresses Hair Salon. The laughter at every moment was absolutely contagious and set the stage for an amazing day. They were married while drenched in the most warm and lovely light at the Governor’s Inn gazebo. 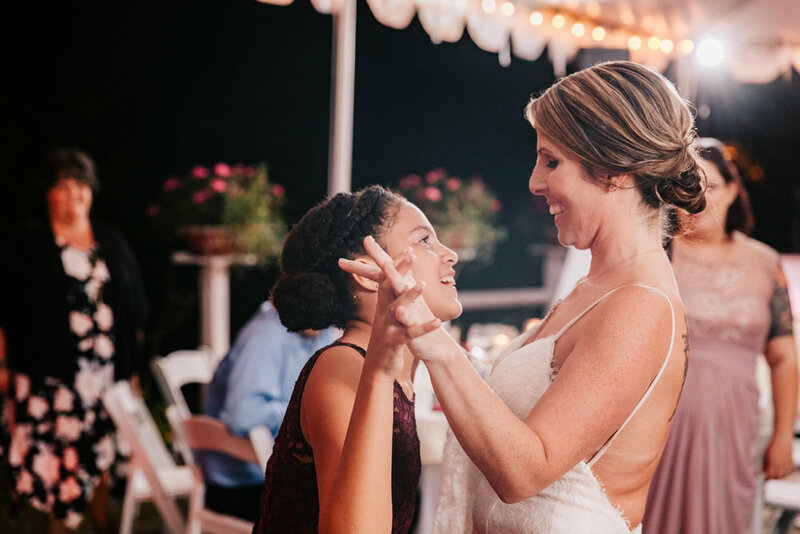 Friends and family looked on with expressions of pure joy and love as they looked at eachother throughout the ceremony, so tangibly ecstatic about beginning the next step in their lives. Partying went DOWN at the reception, thanks to the talents of Divine Creation Entertainment. My favorite part was when their daughters and niece absolutely CRUSHED a dance routine in front of everyone. Remember how as kids, you’d make up choreographed dances with your cousins? These girls took it NEXT LEVEL. Every person in the room had a smile on their face for the rest of the night. Kerriann and John have had the most incredible, healing journey throughout their relationship and to see them finally happy and in love together was beautiful and so inspiring. Happy endings are real, and Kerriann and John are the epitome of that. How to Plan a Wedding that's Uniquely YOU!